We are all moving to a new way of being, with one another and with the earth. As this transformation is underway the disruptions are difficult to ignore. As the awakening among many of us continues we raise our heads up from the distractions of day to day living and we begin looking for answers. · What am I meant to be doing? · What is life all about? Throughout the ages it has been stated time and time again that the answers lie within. It leaves us asking, how do we gain access those answers? Tapping into our individual wisdom and allowing that to flow is a conscious choice. It is something that we can tune into, nurture and cultivate. Crystals are very supportive during the process of physical, mental, emotional and spiritual growth, as they provide and hold a steady frequency for healing that reminds our cells, at the atomic level, how to hold that same frequency. Their assistance helps us bring more light and harmony into our physical body. Crystals illuminate the low vibrational patterns being stored within the physical body and energetic system, bringing awareness of these patterns and beliefs so they can be transcended. 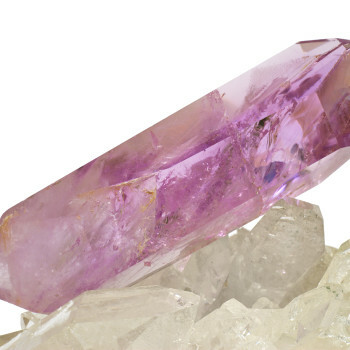 Crystals bring attention to issues that are blocking the natural flow of life force. They provide assistance in the quest for truth and internal peace, and help us maintain a strong connection to our truth. This connection allows access to much deeper healing on all levels. With this healing comes balance. It is quite important for each of us to get in touch with and follow our inner voice and urgings. These inner awakenings guide us to the unique gifts we each have to contribute. Through developing a practice of finding and following our inner guidance we can garner faith and courage to trust what we are experiencing. The journey of awakening to your clarity is taken one step at a time. Partnering with the crystal and mineral kingdom can illuminate this path. Classes in Crystal & Energy Awareness are being offered in Ontario and British Colombia this fall. These classes are specifically designed to help you locate and work with your unique inner guidance system. Click here for class details and registration links.